Forgot the artist but you remember the song? Try our advanced search function! For over thirty years Bengans has provided Gothenburgers with discs, and since 1995 the rest of Sweden (and the world) have access to our vast range through our webshop. Nowadays we also have stores in Stockholm and Linköping. Headquarters and mail order warehouse is available next to our shop in Gothenburg. Every day 1000s passes one of our stores. In our catalog you will find CDs, movies and books. Lots of suppliers helps us keep a wide assortment that should suit our customers. 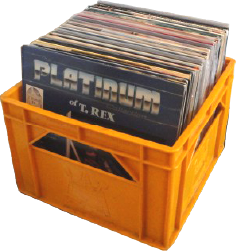 You can also find imported titles and records that are distributed directly from the artist. We at Bengans are music lovers ourselves, and as our customers the contact with the artists is very much appreciated. We often have live performances and signings on stage. Over the years, musicians like David Bowie, Belle and Sebastian and REM have visited us, as well as most major Swedish artists such as Kent, Ulf Lundell and Lars Frederiksen.